An easy guide to recycling! 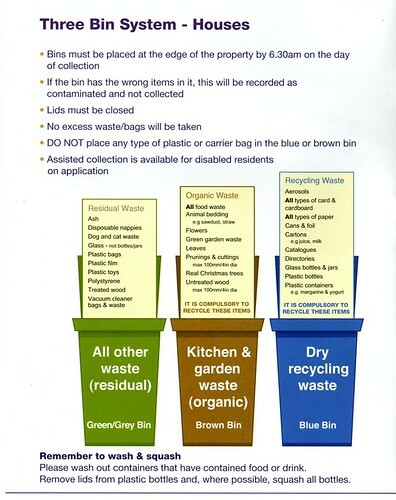 Harrow Council have provided blue, brown and green/grey bins for waste to every house in the borough, and are extending these arrangements to flats. In the not too distant past, Harrow’s waste was sent to landfill, which wasted potentially useful materials which could be salvaged, and is becoming increasingly difficult as all the nearby landfill sites are becoming full. Britain relies more heavily on landfill than other countries in Europe, but all are experiencing the same problems, and all local authorities are committed to improve their waste disposal arrangements. vegetable peelings or food waste. Food waste should be wrapped in newspaper (a cellulose product which will degrade readily), but it is better to recycle newspapers, so they should not routinely be placed in the brown bin. The brown bin is collected every week – so food waste in Harrow is collected as often as it was under Harrow’s traditional arrangements. Not everyone realised this when the arrangements were changed in 2006, and Harrow got a bad press which it did not deserve. Most plastic bags will not rot down to form compost, and those that do are difficult to identify. They should not be placed in the brown bin, neither should oasis, which should be separated from flower arrangements. 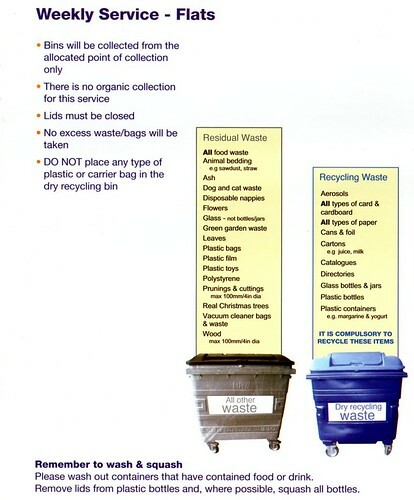 The Harrow blue bin is for materials which can be recycled, e.g. 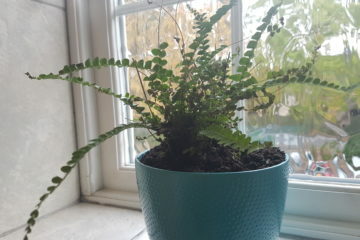 It is collected every fortnight. Harrow is part of West Waste, which uses a MRF (Material Recycling Facility), pronounced merf, to separate these materials for reuse. The Harrow green or grey bin is for everything else, e.g. This is collected every fortnight. As it cannot be recycled it goes to landfill. If we do not create the waste in the first instance we do not put ourselves in the position of needing to recycle it. So – can you reduce the resources you use, use them again or give them to someone else who can do so, and only then recycle them under Harrow’s arrangements? They decompose in the treatment conditions the waste gets and the brown bin is collected weekly. This means that everyone who expects the traditional weekly collection need not worry about the materials which would be troublesome if they were left for a fortnight, as they will not be. Using newspaper to wrap food waste minimises nuisance and the possibility of infestation. I would prefer cooking fat and oil to be used as a source of biodiesel – some SE London authorities are doing this for commercial fats & oils – not sure what Harrow’s arrangements are, and whether they apply to household waste. I recently found out that some refuse collectors will not empty your brown bin if you have non – Harrow decomposable bags in them. Why? If it’s decomposable and from Harrow or a supermarket, who cares right? They want us to use Harrow ones because it’s guaranteed to decompose in three weeks! Wow! That’s so quick. Also they’d need to familiarise themselves with all the different decomposable bags that are on sale, in order to know whether the contents were in an appropriate bag or not. Unless it says decomposable all over it, they won’t necessarily know. I think it sounds quite reasonable. Do you? Plastic water bottles are a huge problem in many areas. Some places have actually banned them altogether, others charge high a deposit fee. 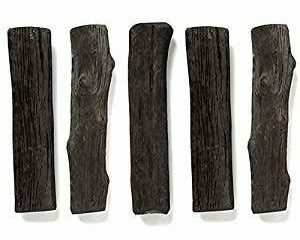 Too bad bio-plastics just aren’t viable yet on a large scale. So what are we supposed to do with flower pots ? Obviously not compostable, but can they go in the recycling bin ?